– P.U.D.S. = pointless ups and downs. The first few days out on the trail it was difficult for me to get used to going up a hill just to come right back down. Most of the hiking I’ve done in the western mountains consists of hiking up a mountian for an entire day before going back down. It took a day or two for my brain to be ok with going up a hill just to come back down 30 mins later! – Slack packing = When you or your pack is driven ahead and you spend some time hiking without your pack. Privy – bathroom area (hole in the ground) that sometimes has privacy. 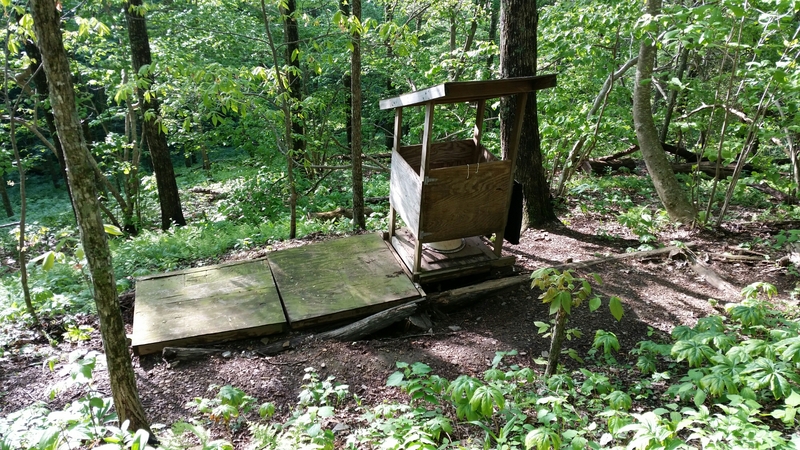 – Shelter Log = Each shelter along the AT has a log book. 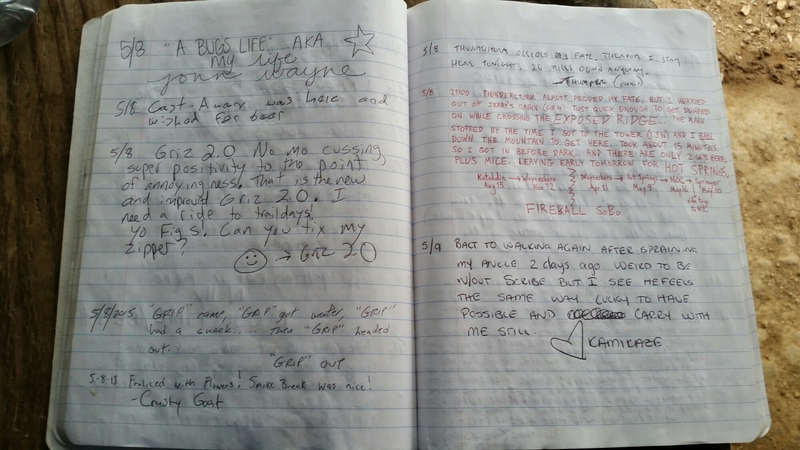 Hikers sign in the log books as they pass through. This makes it easier for people to keep track of friends and see who passed through here/when. – Zero day- rest day, no miles that day. – Nearo = “Nearly zero” a rest day where you hike only a few miles to a town, hostel, or shelter. – NOBO = Hiking north bound on the AT Georgia to Maine. – SOBO = Hiking south bound on the AT Maine to Georgia. -Trekking poles = I would have fallen on my face countless times by now. -Buff = I’ve been wearing a “buff” on my head like a bandana to keep the hair out of my face. Love it, even if I look like I have cancer! -Water Platypus bags = holds 2 liters of water and works great with my water filter. Some days are harder than others… Yesterday we got soaked in a downpour! We had about 3 miles to the next shelter when the rain came and it came down hard. 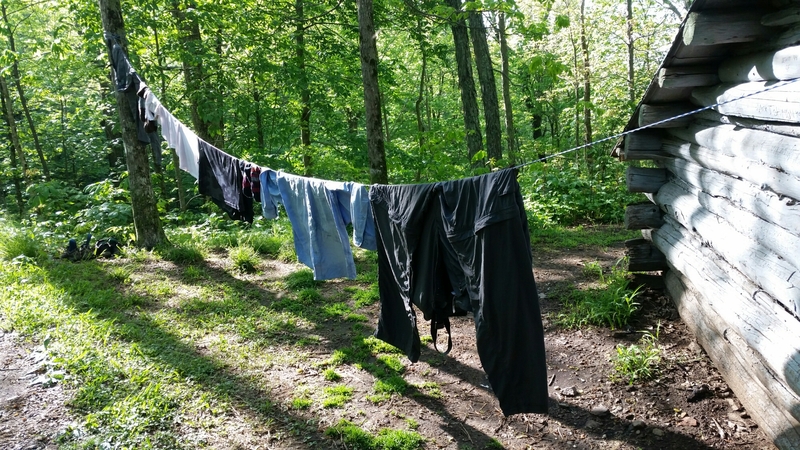 We tried to dry out our clothes before dark but we’re pretty unsuccessful. 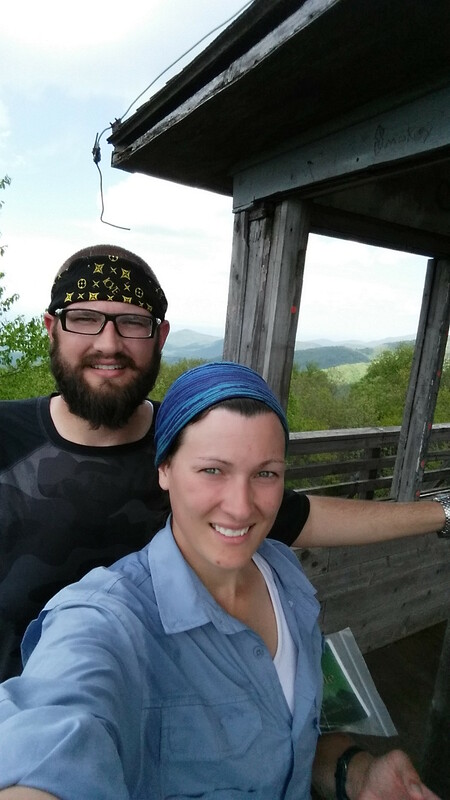 Today we put on our clothes and shoes that were still wet from yesterday’s rain and hiked about 9 miles. We made it to a shelter just before another storm. We’ve been hiding from the rain here ever since and somehow I have service. It sounds like you are getting the hang of the “ups and down’. Yippee! But you’re still smiling. Or are those grimaces, grimi, grimhe or grimher? It’s interestimg to hear what the trail jargon means! Love your posts. I hope you get a chance to dry your stuff out ! I hope you get to “dry out” your things soon!